Rudy does not want to be Santa Claus! 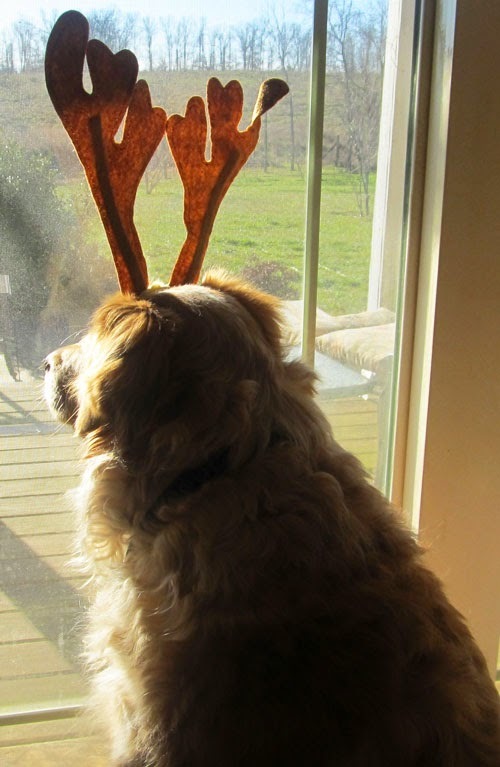 Jeffie makes a very pensive reindeer dog. 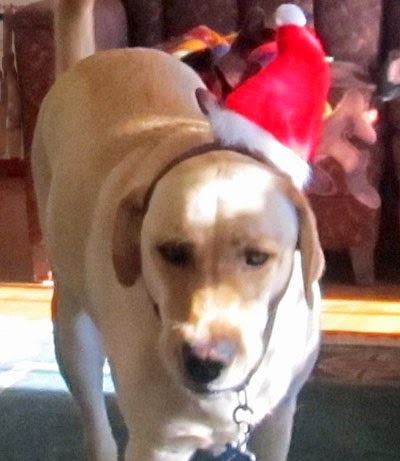 Rosie has figured out there are treats involved in posing with humiliating headgear! 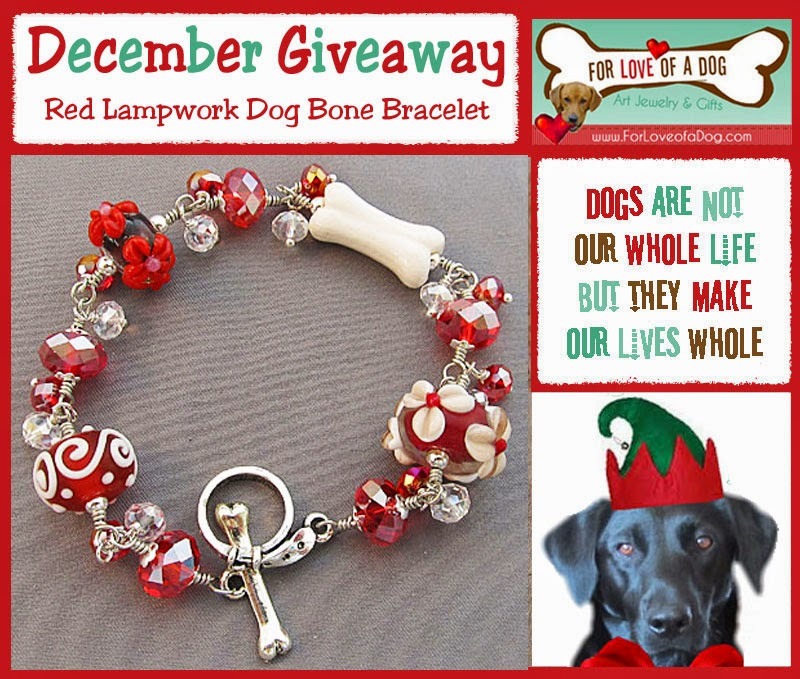 Remember to enter our December Giveaway! My pups agree with Rosie: anything for treats! BOL! I hate wearing "hats" for a photo shoot. Dog bless Rosie for wearing them all! LOL reminds me of trying to shoot Kilo wearing any accessories. Oh, the things we put our pups through. Cute dogs. 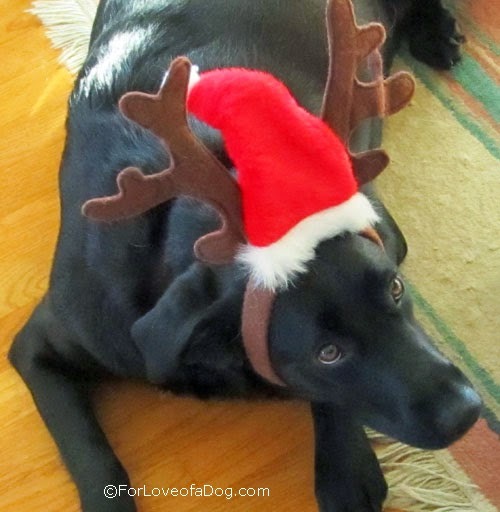 Pensive reindeer dog looks like he's waiting for Santa and the sleigh - too cute! Cute! Jeffie looks SO adorable. Rita is swooning. And also thanking her lucky stars I haven't made her do similar posing yet.... but her luck may run out! That's funny. They are all cute!